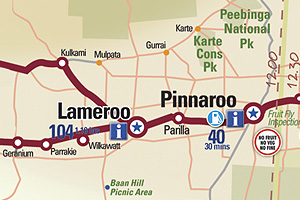 On the Mallee Highway with a population of 80, Parilla too was brought to life when the railway opened. Parilla was surveyed in 1904 and proclaimed a town in 1907, and is named from an aboriginal word meaning 'cold place'. Parilla is a great spot to take a break from travelling and get to meet some colourful characters at the historic hotel... Who are Alf & Edith? Be sure to view the mural along with other historic points of interest in the street. This Mallee area has both traditional and newer crops including potatoes, carrots, onions and olives. 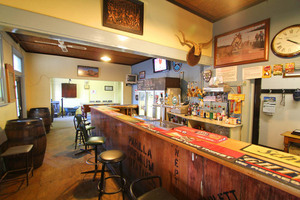 Parilla is a great spot to take a break from travelling at the well appointed rest area including toilets and shower block opposite the local Parilla Hotel and general store. There is a children's playground nearby.